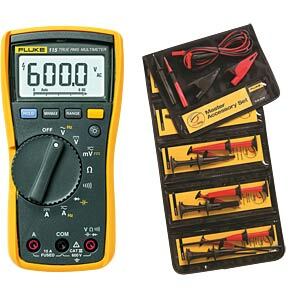 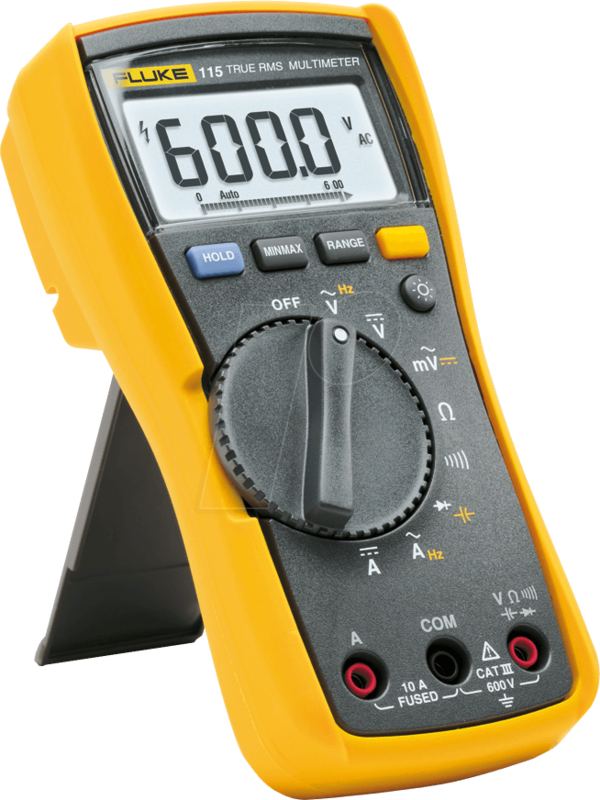 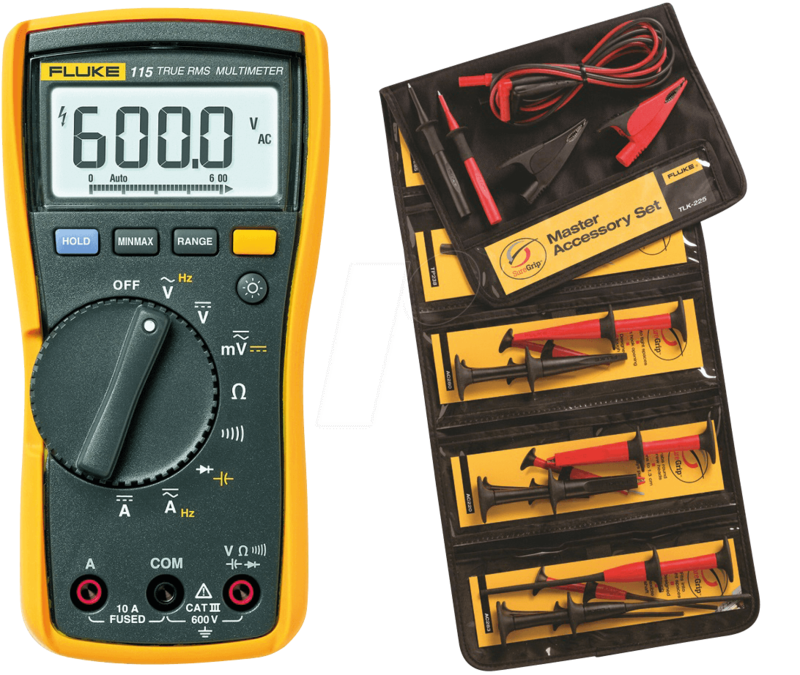 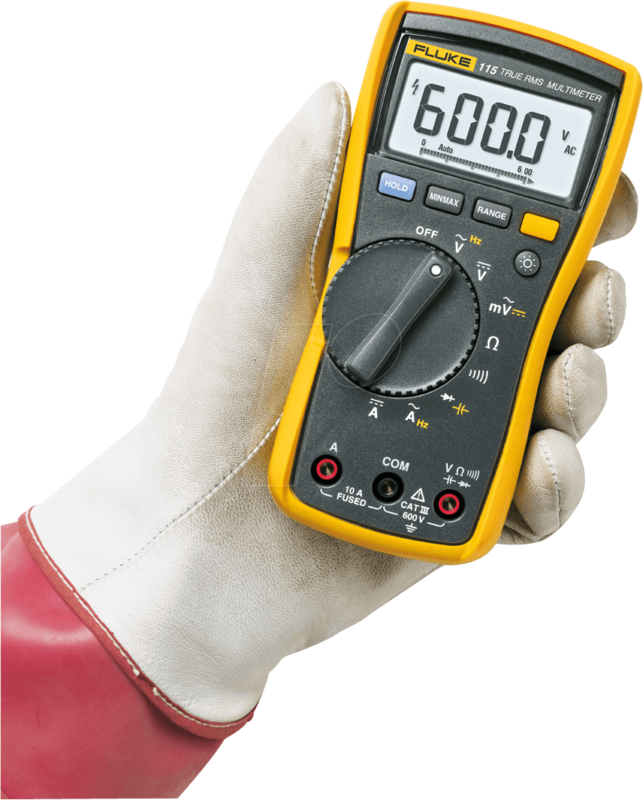 Promotional offer: Fluke 115 digital multimeter with Fluke TLK-225-1 SureGrip safety kit for a special price! 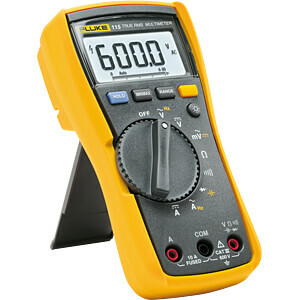 A compact true RMS meter for field engineers. 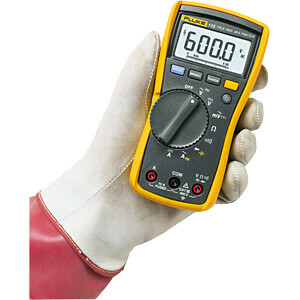 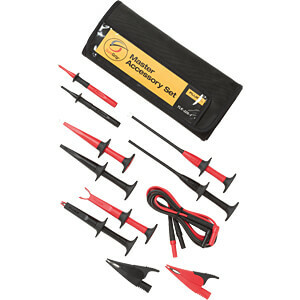 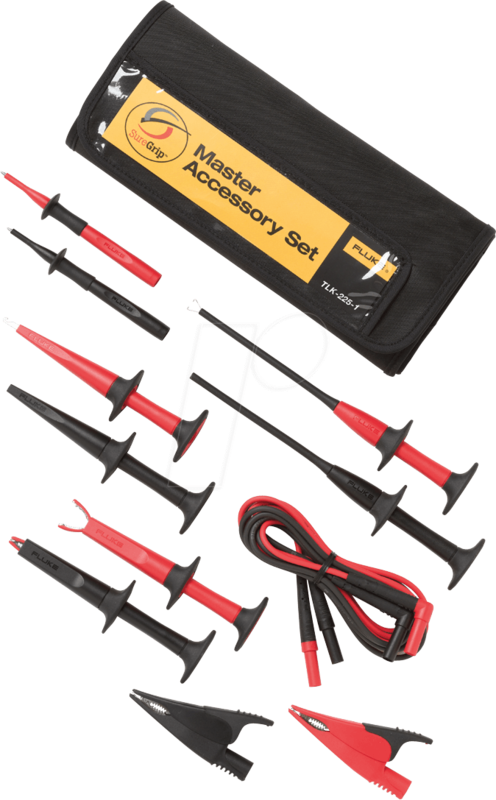 Suitable for a wide variety of electrical and electronic measuring tasks.